Auto tariffs would not only stagnate the economy but also frighten away future business investment, TD Economics says. 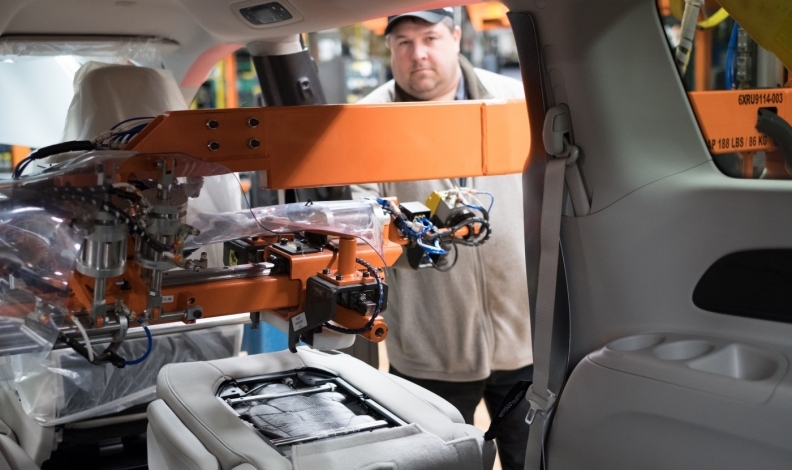 TORONTO — A new analysis by TD Economics says that if the United States goes ahead with tariffs on auto imports it could cut Canadian economic growth by half a percentage point and threaten up to one in five Ontario manufacturing jobs. The report by TD senior economist Brian DePratto says that if the U.S. imposes tariffs of a similar magnitude to the ones announced on aluminum and steel, it would not only stagnate the economy but also frighten away future business investment. DePratto says the move, which would affect roughly $74 billion in exports, could create permanent "scarring" of the investment climate that reduces Canada's long-term economic capacity. He says the immediate tariff impact would mean about a 0.4 per cent cut to economic output, but the long-term hit to confidence would have a peak impact on economic output of 1.2 per cent, or about $25 billion in real terms, and permanently leave output about 0.2 per cent below business as usual. DePratto says he still expects that NAFTA disputes will eventually be resolved, but the potential impact of tariffs underscores the importance of the ongoing negotiations. Scotiabank said in a weekend report that if the tariff dispute deteriorates into an all-out global trade war, it could push North America's economies into recession in 2020, including a 1.8 per cent cut to Canada's GDP.